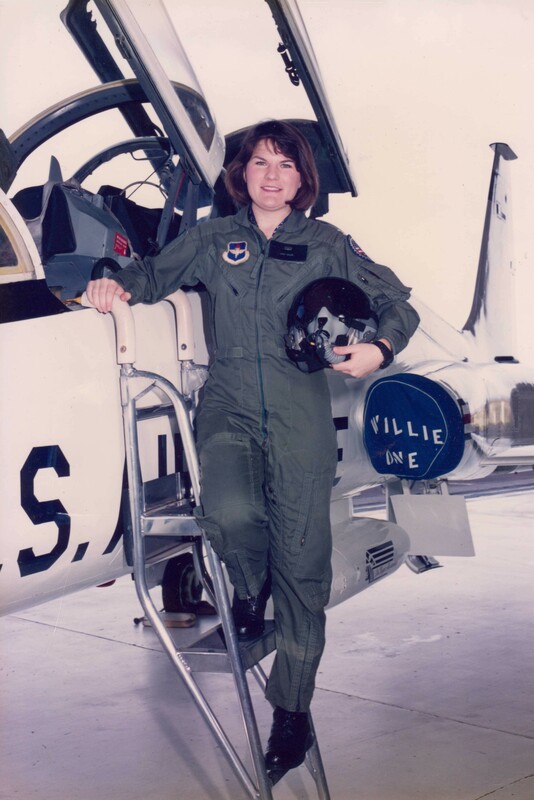 A few years ago I was asked to share the story of my transition from military pilot to mother for the book Military Fly Moms. At the time, I reflected on how the skills I learned as a C-130 Aircraft Commander came in handy as a parent of two young girls. Now I continue the story to share how I have applied those same skills to advocate for changes to improve children’s health. The lessons I have learned from my military training may help other parents navigate the route to raising healthy children in today’s challenging environment. Since it is easier to learn good habits than change bad habits, I have been teaching my children healthy habits from the start. I liken this to working with cement while it is wet instead of hardened. On a daily basis we make healthy food choices to prevent diabetes and heart disease. We reinforce these habits by learning to listen to internal hunger cues, learning to develop a taste for fruits and vegetables instead of highly processed food with lots of added sugar and/or fat, and learning not to use food as a reward. An important part of my military training as an aircraft commander was Crew Resource Management (CRM). CRM focuses on interpersonal communication, leadership, and proactive decision-making to ensure flight crewmembers will speak up and Aircraft Commanders will listen in order to avoid the loss of an aircraft. When my oldest started Kindergarten, I was distressed to see that many of the lessons of personal protection I was teaching at home were being undermined at school where candy was given as a reward, class parties overloaded children with junk food, and fundraising involved peddling candy and cookies. I relied on CRM training to address the school wellness problems, not only with my child’s teacher, but also with the principal, school council, and PTA. Often the message was not welcomed at first but persistence usually paid off. I also learned the importance of good policy from my years in the military. School wellness policies help keep everyone on the same page with best practices for student nutrition and physical activity. Ultimately, my child’s school adopted a strengthened Wellness Policy that encouraged using alternatives to food as a reward, healthier celebrations and healthier fundraising. Instead of candy for good behavior, students now receive non-food rewards like extra recess. Celebrations balance “whoa” foods with “go” foods. The PTA adopted a Water First Policy and serves water instead of sugary drinks at school functions. The Jog-A-Thon fundraiser became a model for other schools and last year, the 16th District PTA held its first 5K race which all 53 of our school PTAs can use for raising money. As the Aircraft Commander, full responsibility for the success or failure of the mission was mine alone, but I relied on a crew of professional support. If any part of that support failed, I nevertheless had the responsibility to continue to do everything in my power to complete the mission. However, support failure drastically reduced the odds of success and it was critical to address any support issues that undermined the mission. I have been surprised that parents responsible for the critical mission of raising healthy children are often expected to do so with minimal or no support. As an example, the local public swimming pool used to offer candy, chips, and soda at the snack bar but no fruits or vegetables. I tried getting around this by packing a cooler with healthy choices only to find a “No Outside Food” sign posted — a real Catch-22! When I told the head of our city’s Parks and Recreation about this predicament, he implemented Better Bites at the pool’s concession stand. Parents can now buy fresh fruit and vegetables for snacks at the pool for children hungry from swimming. That is the kind of support and responsiveness from public officials and the community needed to increase our odds of mission success –raising healthy children. Marketing to children. Children are bombarded with advertising and do not understand the persuasive intent of marketing until they are at least 8 years old. Food as reward. Children are fed for being “good,” instead of being fed for nourishment. This can lead to emotional eating. Finally, don’t forget to gather reinforcements! There’s strength in numbers and it’s important to connect to others who are working on this mission. Feel free to connect with me via Twitter (@CaseyHinds). Tags: diabetes, healthy food, parenting. Bookmark the permalink. Casey, I admire your tenacity! I wish I had you around when my boys were little: I held strong, but it was difficult! With what you are doing, change is coming and for that you should be proud. I know I am! You go, girl!